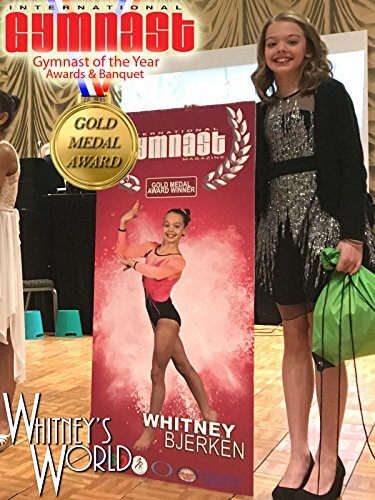 Whitney was in Las Vegas for the International Gymnast Magazine Gymnast of the Year Awards. This year Whitney was nominated for "Fan's Choice Top YouTube Channel." She did not win the Fan's Choice award for Top YouTube Channel...that award went to Annie LeBlanc...congratulations to Annie! But Whitney was surprised with the Gold Medal Award.